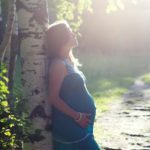 For pregnant women and their birth-support partners. Join us in this fun and informative interactive workshop. Gain skills and understanding for a better birth and nourishing recovery. I’m still quite early in pregnancy, will that be OK? Yes – if you’re interested and ready for this info, then join us! I’m doing the hospital birth classes, is this something different? Yes – the info we will share is rooted in Chinese medicine knowledge of caring for mothers throughout preconception, fertility, pregnancy, birthing and postpartum recovery. It’s all about well-nourished, vibrant mothers and generations of healthy babies. 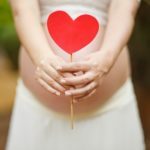 I’m doing another birthing course, is it OK to do this too? Yes – you are free to gather all kinds of information and insights during your pregnancy, to create the optimal conditions for safe and supported birthing for you and your baby. When and where is this talk happening? To reserve your seats, click on the button below. We’ll confirm a few days before the event to check numbers for catering. Oh, I can’t make it that day – what can I do? Add your details in the form below. We’ll send you some helpful info to get started and keep you posted for future dates. You can also use this form if the event is full as we can offer you places from the waitlist.